Jeff For Banks: Leader Selection: "He's not ready." Financial institutions are currently struggling to identify the next generation leaders. Should we fall back on our old playbook, selecting highly "experienced bankers" that have been around and are likely to be the mantle bearers for the good old days, or should we think differently? The manner at which we choose leaders is not very effective, in my opinion. So often we go with those we personally like, or the safe choices such as elevating longevity to top billing. Been here 20 years... here's the gavel. The resistance to putting young talent in positions of executive leadership is baffling to me. Our industry is changing faster than at any time during any of our lives, and yet we listen to pundits tell us that forward looking, and often young, talent is "not ready". This mentality reminds me of NFL quarterbacks. Yes... quarterbacks. I write this on Championship Weekend, when the Niners and Giants are set to face off for the NFC Championship while the Ravens and Patriots vie for the AFC crown. Tim Tebow was vanquished last week by the Patriots. Tebow, as many of you know, started the season third on the Broncos depth chart. In my opinion and the Broncos coaching staff, he was the third best QB on the roster. When the Broncos went 1-4 to start the season, Tebow became the first signal caller known to me to win the starting job via popular opinion. When Tebow's number was called and the starter Kyle Orton was released, Tebow was still only the second best QB on the team. Brady Quinn, in my opinion, was a more talented passer. [Disclosure: I'm a Notre Dame fan, Quinn's alma matar] So Tebow, third string clipboard carrier, goes 8-4 the rest of way. I'm pretty sure FI board members and executive recruiters would have said "he's not ready." How about the Patriots' Tom Brady? Have you ever heard of The Brady Six? These are the six quarterbacks chosen before Brady was chosen (199th, 6th round) in the 2000 NFL draft. Chosen before him were such inauspicious names as Giovanni Carmazzi (chosen 65th), Chris Redman (75th), and Tee Martin (163rd). 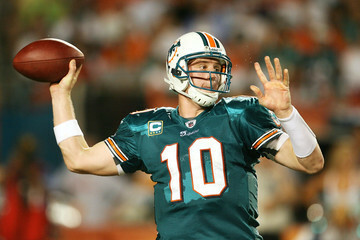 The most famous and first QB seclected was Chad Pennington (18th, see photo). FI board members on Brady: "he's not ready." 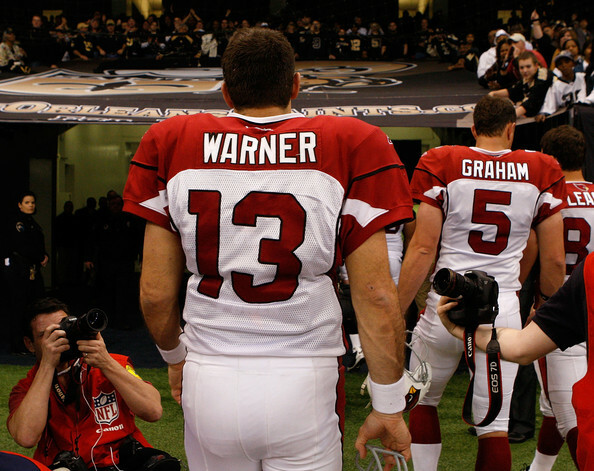 The next year he was promoted to second string behind Trent Green, who proceeded to get hurt in the pre-season, handing the football to Warner in what was feared to be a lost season for the Rams. What ensued was an MVP season followed up by an MVP Super Bowl performance that sprung a Hall of Fame career. Warner would have never started if Green stayed healthy. FI board members: "he's not ready." Here's my point: There are professionals that do nothing but evaluate football talent, develop them, opine on them, have reams of data to compare them, and they churn out winners like Jamarcus Russell. Perhaps those that select the next level of FI leadership ought to think about those that can lead people through a difficult and changing industry instead of those that have a good loan book/the safe pick. Or perhaps that person isn't ready. Perhaps banks and CUs should treat their exec teams like professional sports teams - benching non-performers, giving practice reps to up-and-comers, letting the players vote for the captains, etc - so they can cultivate talent and make sure the starters are performing up to expectations every week. Healthy competition is good for talented people but I'm sure there would be push back from the aging Banking Brett Farves out there. Good post! I just watched the webcast of Jorge Posada's retirement. Athletes, especially ones as accomplished of Jorge, have difficulty recognizing a diminished ability to perform. Joe Girardi, the Yankees manager, probably had the unenviable task of telling Jorge last year he was going to DH versus catch. Do FIs have the Joe Girardi's to tell their executive leadership it's time to hang up the cleats?